Free Speech | Inertia Wins! Labor Policy Counsel Vinnie Vernuccio explains why today’s 7-2 Supreme Court decision in the Knox v. SEIU case is an important victory for free speech. The heart of the ruling is that people should not be compelled to pay for political speech with which they disagree. Just as people may not be forcibly silenced, nor can they be forced to speak. 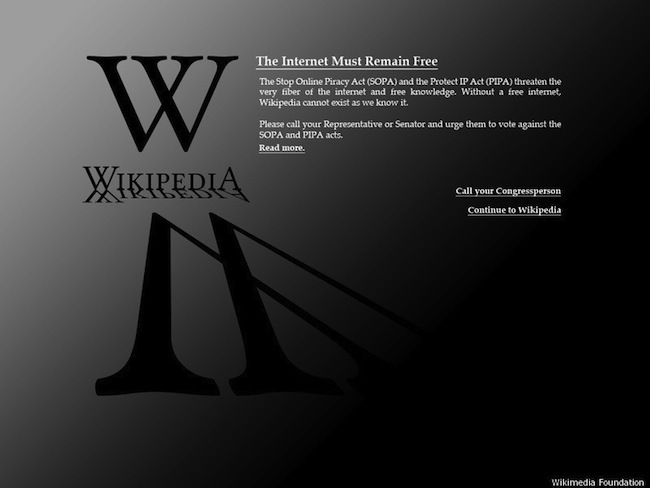 Wikipedia, Reddit, and other popular websites all went black today to protest SOPA and PIPA, two bills currently before Congress. Critics charge that the bills could potentially shut down the Internet as we know it. Associate Director of Technology Studies Ryan Radia explains how the bills would work, and how they would indeed stifle free speech. The conflict sketched in these pages appears as a war between light and darkness. 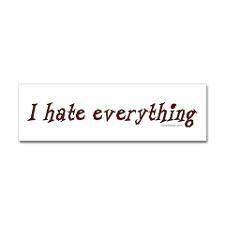 We exclaim that altar and throne formed a sinister conspiracy against the progress of humanity. J.B. Bury, A History of Freedom of Thought, p. 177. Quoted from J.B. Bury, A History of Freedom of Thought, pp. 130-31. He’s right. An argument can only truly be won on the merits.The world would be a better place if more people realized that. -J.B. Bury, A History of Freedom of Thought, p. 182. Tennessee State Rep. Gary Moore must be a very busy man. This year alone, he has solved the state’s budget troubles, fixed the broken education system, slashed the crime rate, and ended poverty. Granted, I didn’t see any headlines about any of those things. No, the evidence for Rep. Moore’s achievements is much more indirect: he found the time to introduce a bill banning offensive bumper stickers. Surely he wouldn’t spend time on something like that unless he’d already solved his state’s more pressing matters? There’s no way that fining drivers $50 if another driver takes issue with their bumper sticker would take precedence over reforming TennCare. The bumper sticker bill also covers movies being shown inside vehicles; surely Nashville’s solons wouldn’t worry about what cartoons parents are showing their kids in the back of their minivans until they found a way to raise stagnant standardized test scores. On the other hand, maybe Tennesseans would be better off if their elected officials spent all of their time on minutiae. Whenever legislators do try to tackle the big issues of the day, wallets across the state get a lot lighter. 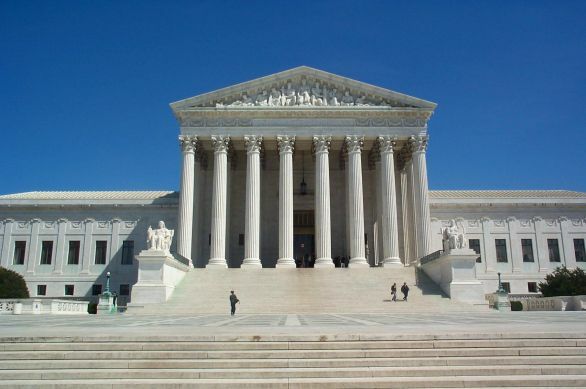 Did the Citizens United decision place corporations ahead of democracy? Activist Annie Leonard thinks so. CEI’s Communications Director Lee Doren disagrees. Leonard views a strong government as an opposing force to corporate power. Doren points out in a new video that the more government does, and the more it spends, the more companies will flock to Washington to get a piece of the action. If you want to keep money out of politics, then keep politics out of our money.